I recently bought a cheap 2.5 inch Seagate ST1000LM048 1TB drive for a small Dell Optiplex 990 system I have. I’m using the system as a basic lab shell host and to host a local http mirror for some often-used software from work. The Optiplex is an ultra small form factor system so it only accepts 2.5 inch laptop drives. I was going to put an SSD in it however in this case space > speed and I didn’t want to spend a fortune on this machine as it’s 6 years old. One thing I noticed with this cheap $60 drive is it seems to have fairly aggressive APM features. In 12 hours of on-time it incremented the Load_Cycle_Count over 300. I did some research online and it seems to be a fairly common issue. I remember having this issue with some WD Green drives 5 or 6 years ago. I hear if you contact Seagate support they have a tool called SeaChestUtilities that can permanently disable some drive power features however the easier route for me is to use the linux hdparm tool. The solution then was to use hdparm to adjust the APM timer for the drive. After a quick yum search I located hdparm and installed it. Running hdparm -B /dev/sda will tell you the current value from 1-255, with 1 being the most aggressive power saving and 255 being disabled. Since this system will be online 24×7 I chose to disable mine with hdparm -B 255 /dev/sda although I also see people suggesting a value of 254. You may want to play with the value to find the best results for you, especially if you’re using a battery powered device. Mar 27 16:36:17 shell.sysop.ca systemd: Started /etc/rc.d/rc.local Compatibility. Now every time on boot it will adjust the drive’s APM settings. In the last 8 hours the Load_Cycle_Count has not increased. I have been using Cinnamon for my window manager on my linux desktop. I’m using a Thinkpad T460p with the dock and a pair of U2311H monitors rotated to the left side by side. This config is fairly easy to setup in Windows and OSX and works on linux but can require a little more fiddling. The default cinnamon display settings dialog did not allow me to position the monitors relative to each other. Instead if I tried to drag a monitor closer or change it’s position the displays would flip around to be on top or on the bottom. There was no small adjustments, just wild snapping around. So dragging an application window or even moving the mouse from my two monitors to the laptop meant that if I exited the dell monitor high up on the panel the mouse would appear low on my laptop’s display. Additionally the panels appeared to have a large buffer space between them so that when dragging a window across displays it disappears into the upside-down (You should really watch Stranger Things on Netflix) for a bit before reappearing on the next monitor. This incongruity bothers me to no end. 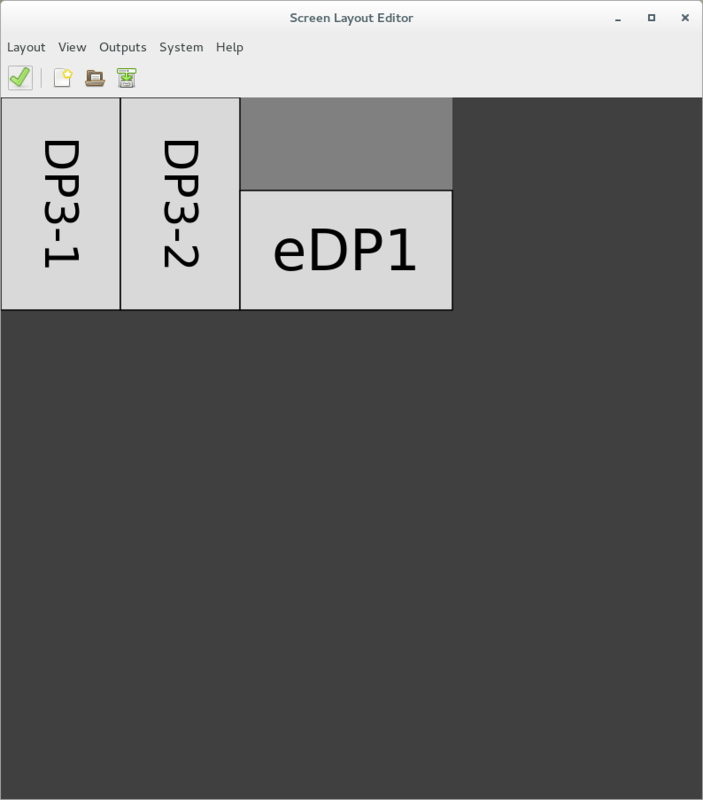 Then a stumbled upon ARandR, a fantastic little tool for adjusting your monitor’s position and resolution. It’s in the It’s a gui front end for xrandr and it works perfectly! No manually counting pixels to adjust your monitor’s relative position. The best part is, now that I fixed the position in ARandR the cinnamon display settings dialog seems to work as expected? I’m sure it’s a bug but I don’t have time to track it down. If you find yourself about to pull your hair out with multi-monitor position and orientation in linux try ARandR! errors when starting the client. The config in your home directory is for per-user customizations. This worked perfectly and now rainbowstream doesn’t complain on startup anymore. 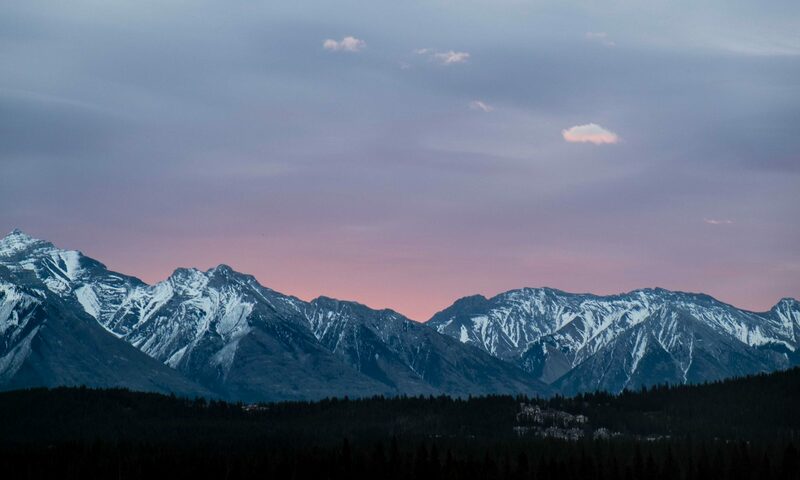 EDIT: Thanks to Naik for providing the updated paths for debian based distros in the comments below! I don’t know if it’s just my own ignorance or oracle purposely obfuscating the latest patch bundles for Solaris but I recently had a hell of a time finding the January 2017 patch bundle for Solaris 10. Oracle kept sending me to a page recommending I use sunsolve.sun.com which of course no longer resolves. Finally I was able to find the following links for the latest current patch bundles for solaris 10 (OTN login and service contract required of course). 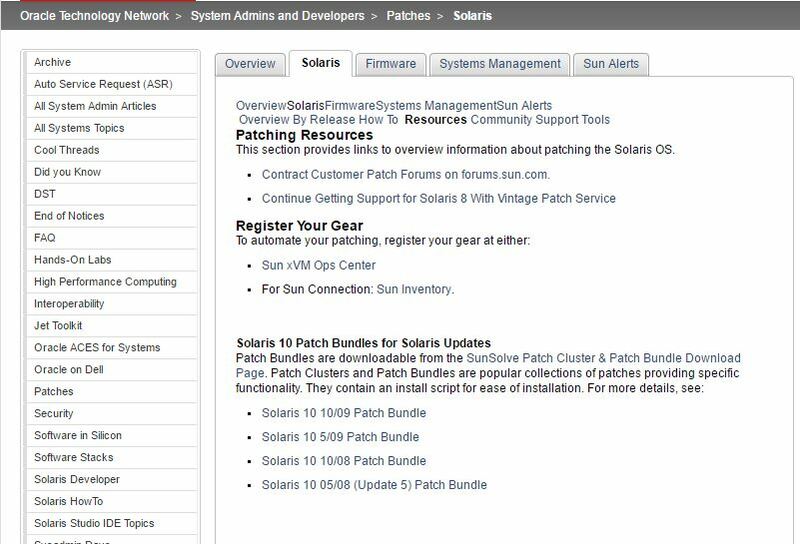 Once you log into your oracle OTN account you can use the following links to get the latest Solaris 10 patches. I was recently upgrading one of my FreeBSD servers to 11-RELEASE and encountered an issue I haven’t run into in a while. Looking up update.FreeBSD.org mirrors… 4 mirrors found. Fetching metadata signature for 10.3-RELEASE from update6.freebsd.org… done. Fetching 1 metadata files… done. Fetching metadata signature for 11.0-RELEASE from update6.freebsd.org… done. Cowardly refusing to proceed any further. I have run into this in the past but I couldn’t remember what the solution was until I searched for it. Dan’s blog has the answer.